This is the first in our series of Great Circuits for Day Hiking and Trail Running Near Melbourne. These circuits are close enough to Melbourne to complete in a day trip by car, and offer awesome training opportunities in some lovely forest. The Bundy Loop in Kinglake National Park is a personal favourite for a quick bout of training in the hills near Melbourne. It’s an 11km circuit which includes an invigorating 300 metre climb over about 2.4 kilometres of horizontal distance. The biggest downside of this route is that the majority is on vehicle tracks, but these are all for forest management only so there isn’t any traffic and wandering along them is really quite pleasant. Take extra care when driving on Heidelberg-Kinglake Road as it’s known to be quite treacherous. You can expect to share it with both cyclists and motorcyclists, and it’s very narrow and winding. The route starts at Mountain Rush Junction on Heidelberg-Kinglake Road, where there’s a car park next to a water tank just off the side of the road. From here you follow Old Kinglake Road, which descends steadily for about 4 kilometres before reaching a gate at the intersection with Bundy Track near Dry Creek. Bundy Track is a beautiful singletrack which ascends quite steeply for the majority of its two and a half kilometre length. The track kicks up at the end with a final short steep section not long before reaching Mount Everard Track, near Mount Everard itself, making for a really satisfying finale to the climb. Mount Everard Track then follows an undulating ridge line across the top of the range, firstly ascending Mount Everard shortly after the track junction, and then dropping into a long saddle before climbing again toward Mount Beggary. The track sidles the summit of Mount Beggary and finishes with a short descent back to the car park at Mountain Rush Junction. The Bundy Loop offers a great day trip from Melbourne. Whichever access route you choose, you’ll enjoy a pleasant trip into the hills and forests of Melbourne’s North East. 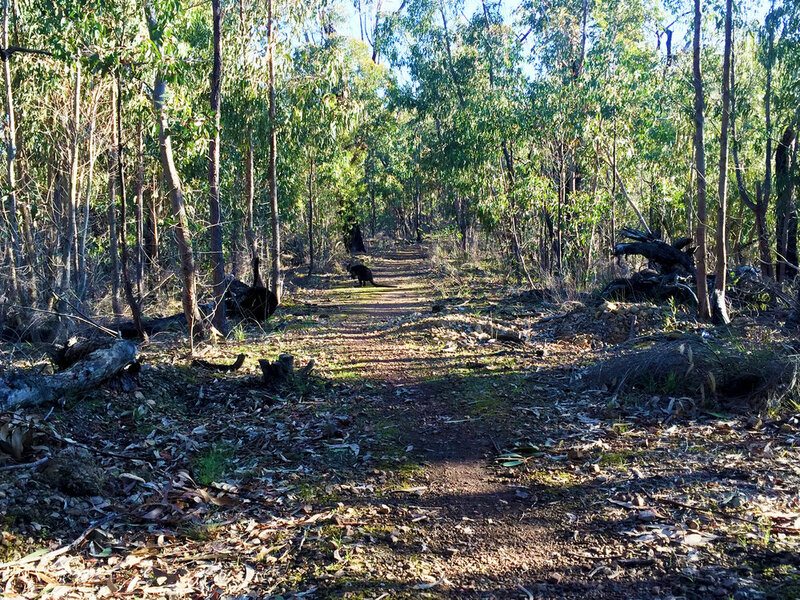 The loop itself covers some fairly challenging terrain and passes through some beautiful bushland, with the possibility of viewing some quintessential Australian wildlife along the way. Older PostWould you pay $1600 to sleep on a bed hanging off a cliff?